You’ve probably heard of the credentials M.D. and Ph.D. -- maybe RN or NP. How about PSc.D. or D.PSc.? Those letters signify someone practices pastoral medicine -- some call themselves doctors of pastoral medicine. It’s a relatively new title that’s being used by some naturalist health practitioners in Texas and elsewhere. It’s not a real medical degree, though. That has watchdog organizations concerned that some patients seeking help could be getting fooled. Patients like Mark Sarchioto. Mark, who’s 60 years old, has crippling neuropathy. He's been searching for a treatment for decades. One leg is numb, and as he shifts from his walker to the couch, he holds out his left hand. “It feels like somebody is puncturing it with needles," he says. "Right now it’s cold and I can’t keep it warm." In 2013, Mark and his wife, Joan, heard an ad for a breakthrough therapy for neuropathy. They jumped at the chance for a free evaluation and drove to HealthCore Center in Richardson. Joan Sarchioto says it felt sketchy. She wrote a review on Yelp warning others to beware. 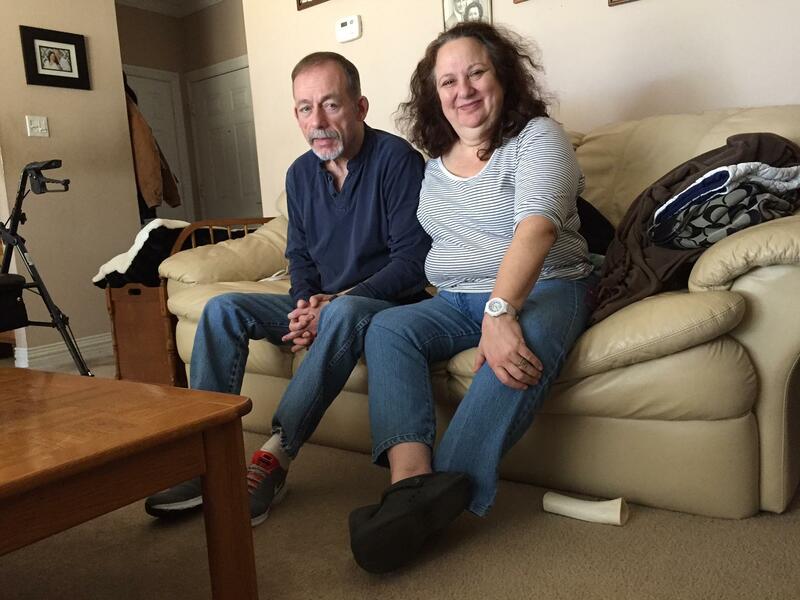 Mark and his wife Joan Sarchioto at their apartment in Denton County. 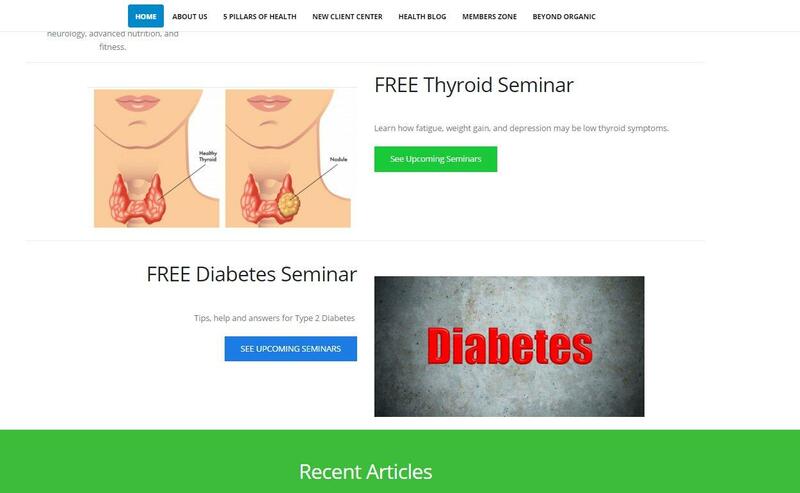 HealthCore Center advertises natural weight loss, thyroid and diabetes programs – and on its website it touts its employees who call themselves doctors of pastoral medicine. That murky label is what has watchdog groups worried. The founder of HealthCore Center is Karl Jawhari. He is a chiropractor, but says he practices functional medicine under his license from the Pastoral Medical Association. A screenshot of a post from HealthCore Center's Facebook page. His office walls are lined with framed certificates, and there’s a Bible on his desk. Jawhari hasn’t always had success with state regulators. Last year, he was fined $2,500 by the Texas Chiropractic Board for providing services outside the realm of chiropractic care. The Texas Medical Board – which licenses, regulates, and disciplines physicians – issued a cease and desist order demanding Jawhari stop offering to treat conditions beyond his chiropractic training. He says he’s done that. There may be people who take advantage of the pastoral license he says, but he says he's not one of them. 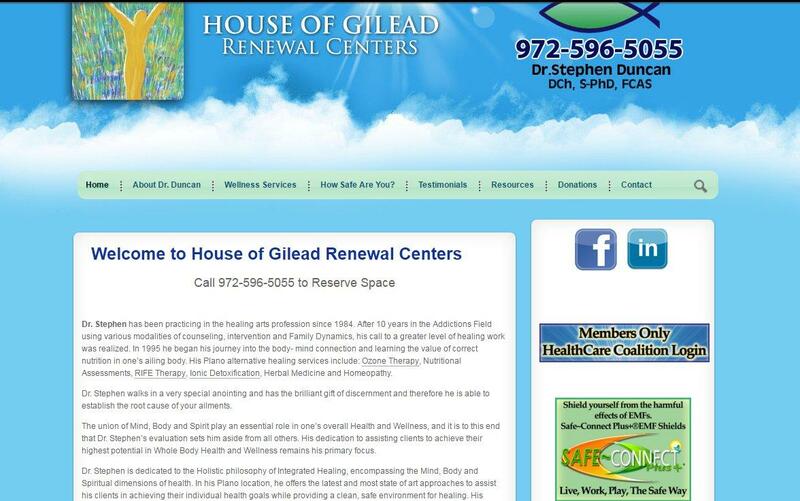 A screenshot of the website of Stephan Duncan, who was sent a cease and desist order by the Texas Medical Board after receiving a complaint that Duncan diagnosed a client with cancer and anemia and provided natural supplement treatments. Online, he's stated he is a doctor of pastoral science. In recent years, the Texas Medical Board has sent a dozen cease and desist orders to people using the pastoral medicine certification. Some hawk dubious supplements like colloidal silver, promise extreme weight loss, treat thyroid disorders and discourage vaccine use. Mari Robinson is president of the Texas Medical Board. “It’s just in the couple of years that we’ve become aware of the term pastoral medicine and that folks are purporting to treat and diagnose illness using that term or whatever they’re calling that. It’s not a degree,” she says. KERA reached out to several other people in North Texas who have licenses from the Pastoral Medical Association. None agreed to talk. Screenshot of a website for Madden Wellness in Cedar Park, Texas. The owner, John Madden, stated he was licensed by the Pastoral Medical Association. In 2016, The Texas Medical Board sent Madden a cease and desist order, prohibiting him from identifying himself as a doctor, unless he does so in compliance with the Healing Arts Identification Act. Many of the practitioners who highlight their pastoral medical degrees have slick websites touting patient success stories. Robinson says anyone in the United States who wants to create a website can do so, but it is illegal to diagnose what is wrong with someone, treat them, or offer to treat them without the appropriate licensing. But many claim to have a license – from the Pastoral Medical Association. The Irving-based organization refused to speak with KERA. It sent a statement explaining it was founded by a group of Christians concerned with the increase in chronic illness, and focuses on promoting what it calls Bible-based health. Anyone can become a member by passing quote rigid standards that the group wouldn’t share. Members also have to pay processing and annual fees. The association says it has tens of thousands of members in more than 30 countries. 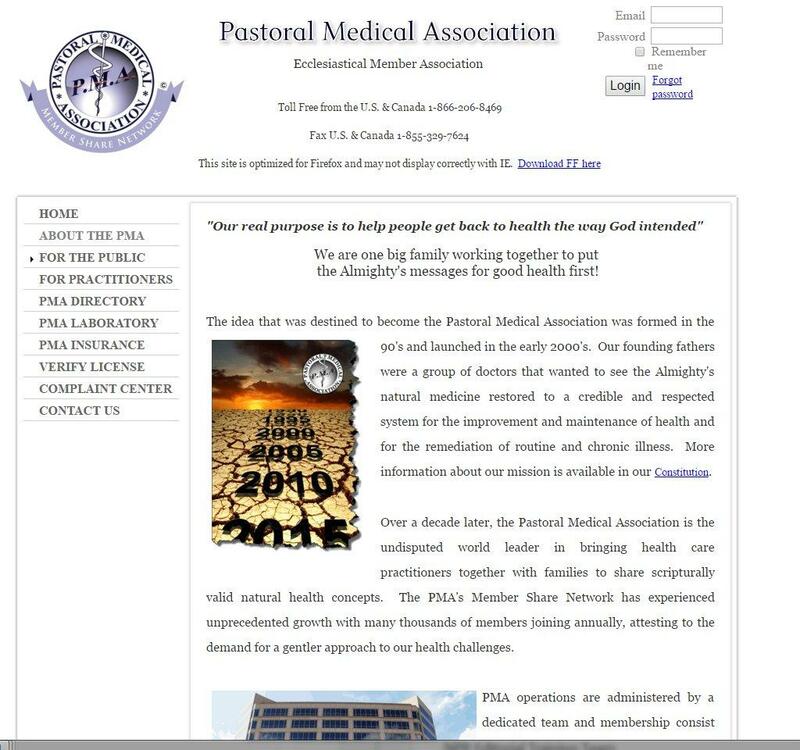 The Pastoral Medical Association's website describes it as a group bringing together practitioners and families to share scripturally valid natural health concepts. So, why might someone join? Barrett says the Pastoral Medical Association functions like a private club. Patients sign confidentiality agreements, pay out-of-pocket and are prohibited from suing if they’re unhappy. Any disputes are handled by an ecclesiastical tribunal. 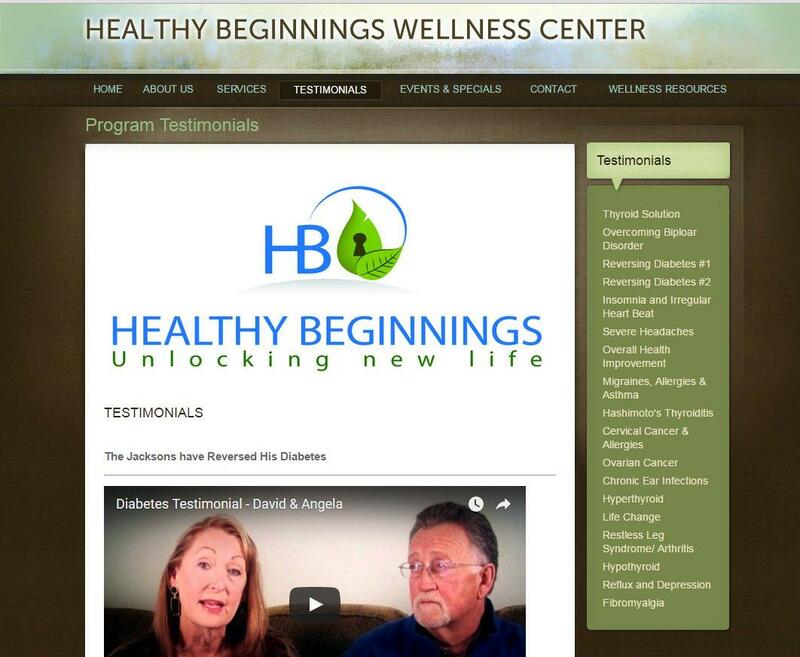 A screenshot of the website for Healthy Beginnings Wellness Center, run by Ky Carlson. Carlson, who states he is licensed by the Pastoral Medical Association, was sent a cease and desist order, prohibiting him from acting as a licensed physician in the state of Texas, unless he does so in compliance with the Healing Arts Identification Act. These practices do have supporters. Toni McElhaney of Plano found out about HealthCore through a flier advertising a free thyroid seminar. She’d been taking medication for hypothyroidism but still felt exhausted. She says she paid $300 for initial testing and $4,500 for a six-month treatment plan. None of her treatment is covered by health insurance. McElhaney thinks the heavy metal detox, the diet and herbal supplements helped her lose weight and gain energy. So, does it matter that the woman she sees isn’t actually a licensed doctor, nurse or chiropractor? It’s tough when traditional medicine doesn’t have all the answers. So how’s a patient supposed to distinguish between labels like naturopath, holistic healer or pastoral medical doctor? The Texas Medical Board encourages people to check licenses online. Barrett says avoid anyone who pushes dietary supplements. Both agree that putting the word doctor in front of a name doesn’t make that person medically legit.